As for Rickard's 'southron ambitions', I think the phrase speaks more to Barbray's bitterness than any over-reaching plan and I don't see Rickard attempting to do much more than get closer to the throne and build up a bit more influence at court. Ned may be content to sit events out on the edge of the world, but Rickard seemed to want to tie the North more into the rest of the realm. This goes into deep tin-foil grounds. Couple things that have always stood out to me. The Green Men created by the pact and it heralding the Age of Heroes, and the timing of Garth the Green and his children popping up, verifies at least his existence after the Pact. Including rumors of his appearance, even if metaphorical, match that of the Green Men of the God's Eye. We have an unknown Green King of the God's Eye. (All of this makes me think of Green Seerers being created from the pact after maybe merging with the CotF.) All of this thus far is in regards to the Old Gods, Weirwoods, and Garth the Green. Put a pin in House Manderly and the Mander. Bringing in the Iron Isles though, and things get interesting. As Nagga's ribs sound like 44 weirwoods in a grove, and is a sacred place to the Iron Born who wear driftwood crowns similar sounding to the driftwood throne of the Velaryons. This sounds like washed up Weirwood. The Iron Islanders worship the Drowned God, and yet, House Manderly of whom the Mander is named after or the Manderly's are named after it, have merlings and all sorts of sea creature statues all over their castle. They are interestingly the last surviving members of the Order of the Green Hand. The Grey King was grey all over after his long rule, but unknown his original color. He though, attacked Ygg, the pale demon tree igniting a magical fire from Ygg. (Makes me think of Rhllor.) Like Garth the Green, the Grey King fathered many children. 100 sons and who knows how many daughters. The Grey King is said to have a loyal older brother interestingly that House Good Brother descend from. House Good brother who's home is inland in the middle of a forest. This is where things get mixed and a little interesting in my opinion. Is Garth the Grey King? Or, Is the Grey King one of Garth's sons? The Grey king is said to have lived for 1007 years and Durran God's Grief for 1000. Where as Garth the Green sounds like he lived much longer being attributed to being there before the arrival of the first men. Could these two be son's of Garth? All speculation and depending on how you read the clues may sway you one way or another, but all in all very interesting. Im sure im forgetting many clues but all in all, i feel the Grey King is tied to Garth and possibly ruled the Riverlands of old. So is the Durrandon's and why they fight over the Riverlands. Or Garth is Durran and the Grey King? Idk. 44 iron islands and 44 of Nagga's ribbs, dead weirwoods. 33 islands in one grouping with 33 weirwoods attacked in the Riverlands at Highheart. 13 seem's tied to the Night's King and the second grouping of Islands in the Iron Isles numbers 13 and includes the Farwyns rumored to be shape shifters. House Manderly display the Merling King all in Green on their sigil and this makes me think of Garth being a merling or tied to them. Though what is a merling? Is it a real thing or a metaphor? Simply some one from the sea that seems god like or weird? Idk, hard to discuss a lot of this on the forum with out being attacked by people who think being rude some how validates their view. Thank you for this. This is a spectacular and clear exposition with a lot of damning points. The "southron ambitions" has so much against it and so little for it that I dare say it is the single most unsubstantiated in book conspiracy theory (one given to us, not our nutty machinations). Just the one fact that Rickard alone never married is damning, but your excellent post here really hammers this home with no wiggle room. Kudos. Just saying - you guys all do recall that Aegon's sister-wives supposedly arranged a lot of marriages between the (great) houses of Westeros, right? And the new excerpt from FaB indicates that Alysanne did something similar. This didn't lead to any Targaryen animosity nor to a conspiracy or alliance against the royal family. While we don't have any evidence of such a conspiracy aside from the matches as such (which aren't evidence) then there is really no reason to assume that marriages between great houses do hint at such conspiracies. In fact, at this point we have no idea yet whether King Aerys II or his sister-wife were not involved in any of the betrothals. They could have helped Rickard to arrange the Brandon-Catelyn match, for instance. That was made before the Defiance of Duskendale. The presupposition that marriages between great and influential houses are rare and/or a sign that 'something is going on' doesn't really make much sense if the king and queen themselves arranged such marriages. 5) Robert was in charge of Baratheon marriages, only Stannis was old enough for a marriage to be arranged in the years leading up to the rebellion, and Robert probably couldn't be bothered to do it. Very much like your posts here, but I wanted to add something to this point. We don't know when the marriage of Stannis to Selyse was made. We do know the marriage takes place about 286 AC and that given the siege of Storm's End is lifted in late 283 AC it would not be stretching the length of the betrothal for it to have been made in the pre-rebellion period. I say this because the match could be part of the attempt to build ties to the loyalist houses of the Reach in a post rebellion period, but it could also be part of the pre-rebellion period of the STAB bloc to marry into the powerful families of the Reach outside of the Tyrells - who have no marriage age children at the time. The Blackfish's marriage pact with Bethany Rowan is the example of a pre-rebellion attempt at such a marriage. Of course, the Blackfish's refusal destroys Hoster's attempt. One thing I think we can be sure of is the Stannis/Selyse match is not one base on love or lust. This is a political alliance if there ever was one. 6) I also don't know how committed or in the loop all these lords were. Remember, Hoster isn't getting a royal marriage out of this alliance, and he upped his demands (too husbands) following the death of Rickard, so if you want we can say he was half-in and so perhaps in no rush to fully commit by going through with the marriage, and the betrothal represented his tentative support. I am not endorsing this, but if it will ameliorate your issues we can run with it. I would caution against assuming there are any plans at this time for who will be the King of Westeros in the event of a rebel victory. Robert isn't publicly announce as the presumptive new monarch until around the time of the Trident, so the agreement between Ned, Robert, and Jon Arryn isn't made until the period after Brandon and Rickard's deaths and up to the Trident. Because Hoster was not named as one of the people who made such a decision, it is likely made before the Battle of the Bells, but we can't be sure. The fact that the Tullys don't join the rebellion until an agreement is made to marry both Catelyn and Lysa to Ned and Jon leads me to believe the pre-rebellion alliance didn't include an agreement to support each other in a war against the crown at least not until the marriages take place. 1. Yandel's statement gives no inside knowledge about the intentions of Rickard, Steffon, and Jon for fostering Ned and Robert with Jon, or Rickard and Hoster for arranging the betrothal of Brandon/Catelyn, or Rickard and Robert for arranging the betrothal of Lyanna/Robert, or Tywin and Hoster for negotiating the betrothal of Jaime/Lysa. He is merely oversimplifying the end result in hindsight, knowing that Jon raised his banners rather than execute Ned and Robert, that Hoster eventually joined the rebels with the promises that Ned and Jon would wed his daughters, and that Tywin eventually joined the rebels when Aerys ordered the gates open thinking he had come to rescue him. 2. From the time Steffon fought next to Aerys and Tywin in 260 AC (a war Hoster and Brynden also fought in, and who knows who else), to the time Steffon died as a member of Aerys's small council on an errand to find a bride for Rhaegar in 278 AC, we have no indication he was anything but loyal to Aerys. So when Steffon and Rickard sent their sons to foster with Jon in 271-272 AC, we have no reason to believe that any of them had any intention against Aerys or House Targaryen behind it, and every reason to believe that Steffon is one of the last people Rickard or Jon would have ever tried to involve in a plot against Aerys or House Targaryen. 3. And when Robert asked Rickard for Lyanna's hand after having become best friends with Ned, and fallen in love with Lyanna, we have no reason to believe that either of them had any intention against Aerys or House Targaryen, and every reason to believe that Robert is one of the last people Rickard would have tried to involve in a plot against Aerys or House Targaryen, and that Storm's End is one of the last castles Rickard would have agreed to send his daughter to if he had been involved in a plot against Aerys or House Targaryen. 4. And whatever the issues between Tywin and Aerys, Tywin still had Cersei in King's Landing trying to wed her to a Targaryen at the exact same time he was negotiating with Hoster to take Lysa to wed his heir Jaime, including inviting Hoster to King's Landing, right under Aerys's nose, to complete the deal. We have no reason to believe that either of them had any intention against Aerys or House Targaryen (save, perhaps, Tywin being involved in Rhaegar's plots), and every reason to believe that Tywin is one of the last people Hoster would have tried to involve in a plot against Aerys or House Targaryen, and that Casterly Rock is one of the last castles Hoster would have agreed to send his daughter to if he had been involved in a plot against Aerys or House Targaryen. 5. The betrothal of Brandon and Catelyn seems to have been the very earliest of the betrothals or negotiated betrothals, and we have no reason to believe that this betrothal was done with the Targaryens, or independent kingdoms, in mind. In fact, all Hoster's betrothals would have done is legitimately put the neighboring Starks and Lannisters in line for his lands, while doing nothing to perpetuate his own male line with his unwed and unbetrothed son Edmure, and giving the Starks and Lannisters no real incentive to protect him and his male line, whether from Aerys and House Targaryen, or from anyone else. 6. IMO it is completely inconceivable that that betrothal was a foundation on which they attempted to bring the Baratheons and Lannisters, staunch allies of Aerys, into an anti-Aerys/Targaryen/Iron Throne alliance. It is, IMO, a completely convoluted and unsupported theory for things that are much more easily explained with simpler and more plausible explanations for the motivations of each of the great lords involved. Which demonstrates how completely exaggerated is the idea that all these houses would have had some strong cohesive tie. The Starks would have had ties to two houses, one of which was close to the Targaryens. The Tullys would have had ties to two houses, one of which was close to the Targaryens. The Lannisters, close to the Targaryens, would have had ties to one house. The Baratheons, close to the Targaryens would have had ties to one house. And the Arryns would have ties of love and friendship with two houses, though no marriage ties. Until we get some more information that actually provide evidence, rather than projecting intentions backwards based on the end result, I completely reject any idea of a pre-war STAB alliance aimed against Aerys, the Targaryens, or the Iron Throne. OK. Let’s go through this. Yandel clearly asserts Rickard’s actions (the ties made by blood and friendship) formed an alliance (and only one alliance) and it was this alliance which tied the houses together and ensured a united response after Rickard was killed. This isn’t a simplified version of the idea that the alliance that existed during the war formed after the death of Rickard. Or, if it is, you’ve really given us no reason to think so beyond an assertion. Yandel likely didn’t have detailed insider knowledge of Rickard, Jon and Hoster’s plans but he does have access to the archives of the Citadel, so he will be pretty well-informed about political events. Central to your argument is the idea the Baratheons were a pro-Targaryen House but you fail to give much (or any good) reason for this. I can’t see the relevance of Lord Steffon fighting in the Stepstones (lots of people did) and his seat on the small council and errand-running for Aerys in the Free Cities do not show that he was loyal to the king. Perhaps they provide some evidence Aerys thought he was loyal, or maybe not. We know Aerys belittled and insulted those to whom he accorded the highest positions, such as Tywin Lannister. So it is hard to know how to interpret the king’s sending Steffon to the Free Cities. On the one hand the task was very important, so it might indicate great regard, on the other Aerys could have seen it as errand-running and a bit of a put down. In any case there definitely isn’t any reason to think Lord Steffon was the last person to be involved in anti-Targaryen plots, such an inference is totally unwarranted. The reasons for supposing the Robert-Lyanna match had an anti-Targaryen intention are the reasons usually given for the southron ambitions theory, of either the 5 or 6 variety (see my earlier post for the numbers). I agree there are no other reasons for supposing it had an anti-Targaryen intention but can’t think what that proves or why it is relevant. I think you also hint at a very peculiar argument, namely, 'if Rickard planned war against House Targaryen why would he send his daughter (presumably after she was married) to Storm’s End in reach of the pro-Targaryen Tyrell army: did he want Lyanna to eat rats and shoelaces.' Well, looks like you answered your own objection regarding the gap between betrothal and marriage then; if Rickard let his daughter marry any noticeable period of time before he went to war he’d have to send her to SE, or rouse the king’s suspicions (and risk annoying Robert), so the marriage was to happen just before he raised his banners, or after victory was achieved. Just so you know, there is nothing that needs explaining regarding the gap between Lyanna’s betrothal and marriage, as she was possibly 14 when she was abducted but if there was you’ve just solved the problem anyway. Here the argument is that the putative STAB alliance would not have trusted the Lannisters, as they were too close to the Targaryens; in the event of a marriage Lysa could become a hostage, etc. First, the idea Tywin was not disgruntled and capable of turning against the king seems false; he had many reasons to be displeased with the king, even if you don’t suppose Aerys raped his wife. So the idea of him putting feelers out to STAB is not implausible. Secondly, the marriage of Lysa and Jaime would have been conditional on Tywin throwing his lot in against Aerys and may have taken place at the start of the war or just after it. Meant to prove anything? The reasons we have for thinking it was an anti-Targaryen match are the reasons for the southron ambitions theory of version 5 or 6. This was mentioned above. Of course, there are no other reasons for thinking it was an anti-Targaryen match but this does not seem relevant. As to the other argument here, unless Hoster didn’t let his daughters marry somebody, somebody, namely their husbands, would have claims on his lands. So this is just a situation you have if you have two daughters. It doesn’t make marrying your daughters useless or mean that they can’t strengthen a bond between houses such that it leads to/sustains an alliance. This rests on an idea which we have seen is unsupported, namely that we have reasons for thinking the Baratheons and Lannisters were pro-Targaryen houses: we have no such reasons. Yandel's statement gives no inside knowledge about the intentions of Rickard, Steffon, and Jon for fostering Ned and Robert with Jon, or Rickard and Hoster for arranging the betrothal of Brandon/Catelyn, or Rickard and Robert for arranging the betrothal of Lyanna/Robert, or Tywin and Hoster for negotiating the betrothal of Jaime/Lysa. He is merely oversimplifying the end result in hindsight, knowing that Jon raised his banners rather than execute Ned and Robert, that Hoster eventually joined the rebels with the promises that Ned and Jon would wed his daughters, and that Tywin eventually joined the rebels when Aerys ordered the gates open thinking he had come to rescue him. Perhaps I didn't express myself well, but I made no claim Yandel had inside knowledge of any of the High Lord's plans at that time. What I tried to point out is that Yandel, writing for the approval of Robert and his successors states as fact something he obviously thinks is acceptable to the victors of the rebellion. When he states that Lord Rickard's ties of marriage and friendship were a defense against the mad king's crimes he is showing that he has reason to believe Robert will accept this version of history. That it admits the proposed marriage and foster relationships target Aerys is critical. Why would he think Robert would agree? I think it indicates that this was not a benign accident of history in which these pacts and foster relationships just accidentally happen while Rickard pursued friendly relations with his contemporaries to the south. Instead we see an evolving set of ties for a particular political purpose and that it is aimed at Aerys, and likely at the Targaryens in general. What Yandel brings that is new is an understanding of the political views of the people he is writing for. That the rebels would accept a view they had an alliance in the pre-rebellion days designed to protect them against Aerys changes everything in understanding why Rickard and the others did what they did. From the time Steffon fought next to Aerys and Tywin in 260 AC (a war Hoster and Brynden also fought in, and who knows who else), to the time Steffon died as a member of Aerys's small council on an errand to find a bride for Rhaegar in 278 AC, we have no indication he was anything but loyal to Aerys. So when Steffon and Rickard sent their sons to foster with Jon in 271-272 AC, we have no reason to believe that any of them had any intention against Aerys or House Targaryen behind it, and every reason to believe that Steffon is one of the last people Rickard or Jon would have ever tried to involve in a plot against Aerys or House Targaryen. And when Robert asked Rickard for Lyanna's hand after having become best friends with Ned, and fallen in love with Lyanna, we have no reason to believe that either of them had any intention against Aerys or House Targaryen, and every reason to believe that Robert is one of the last people Rickard would have tried to involve in a plot against Aerys or House Targaryen, and that Storm's End is one of the last castles Rickard would have agreed to send his daughter to if he had been involved in a plot against Aerys or House Targaryen. I don't agree with you that Steffon's allegiance to Aerys is anywhere as near clear cut. Steffon has seen Aerys's deteriorating mental state and he is sent on his errand after the events in Duskendale. Was he a supporter of Aerys staying on the throne after that? I don't know. But here I think it is important to remember we are told that Lord Rickard's plans don't originate with Lord Rickard himself. There are other agendas going on here alongside of Rickard's own wishes. When Steffon dies Maester Cressen plays an outsized role in the bringing up Steffon's sons. He maybe the source of the idea in House Baratheon to send Robert to be fostered at the Eyrie. He undoubtedly had a say in Robert staying there after Steffon's death. Which raises a question, do we know when Robert arrives in the Vale? We know how old Ned was when he first went there, but I don't know if Robert is sent at the same time or either earlier or later. As I've said elsewhere, I think the maester's conspiracy Marwyn alerts Sam to plays a critical role in all of this. It's own aims dovetail with Rickard's and are decidedly anti-Targaryen. The idea of the STAB bloc as an alliance against Aerys and Targaryen rule presupposes a close relationship between Lord Rickard and Lord Jon. That's the first step. The rest grows. When Robert goes to the Eyrie he is introduced to Ned and they become fast friends under Jon Arryn's watchful eye. Introducing Lyanna to Robert is just another step in building those ties. The idea that Robert himself is some kind of dyed-in-the-wool Targaryen loyalist isn't supported by any facts. That Robert's father and mother are killed doing Aerys's business for him can't have helped his feelings for the king. Between Cressen and Jon it isn't hard to see Robert being directed down a path they want. And whatever the issues between Tywin and Aerys, Tywin still had Cersei in King's Landing trying to wed her to a Targaryen at the exact same time he was negotiating with Hoster to take Lysa to wed his heir Jaime, including inviting Hoster to King's Landing, right under Aerys's nose, to complete the deal. We have no reason to believe that either of them had any intention against Aerys or House Targaryen (save, perhaps, Tywin being involved in Rhaegar's plots), and every reason to believe that Tywin is one of the last people Hoster would have tried to involve in a plot against Aerys or House Targaryen, and that Casterly Rock is one of the last castles Hoster would have agreed to send his daughter to if he had been involved in a plot against Aerys or House Targaryen. Whatever the issues between Tywin and Aerys? Aerys calls Tywin his servant and mocks him openly at court after refusing the Cersei as a bridal candidate in a way that makes it clear she is unfit to marry any Targaryen. Tywin tries to kill Aerys at Duskendale. I say his plans for Aerys have long gone passed his hope to win a marriage for Cersei. So, no, I disagree that a marriage of Lysa to Jaime is far from the last ties the STAB bloc wants to forge. It is more like a long sought after prize. The betrothal of Brandon and Catelyn seems to have been the very earliest of the betrothals or negotiated betrothals, and we have no reason to believe that this betrothal was done with the Targaryens, or independent kingdoms, in mind. In fact, all Hoster's betrothals would have done is legitimately put the neighboring Starks and Lannisters in line for his lands, while doing nothing to perpetuate his own male line with his unwed and unbetrothed son Edmure, and giving the Starks and Lannisters no real incentive to protect him and his male line, whether from Aerys and House Targaryen, or from anyone else. Yet the tie of Ned to Catelyn is enough for Ned to send the message that Robb should call his banners to help against a Lannister invasion. IMO it is completely inconceivable that that betrothal was a foundation on which they attempted to bring the Baratheons and Lannisters, staunch allies of Aerys, into an anti-Aerys/Targaryen/Iron Throne alliance. It is, IMO, a completely convoluted and unsupported theory for things that are much more easily explained with simpler and more plausible explanations for the motivations of each of the great lords involved. We totally disagree on the characterization of the Baratheons and the Lannisters as "staunch allies of Aerys." While I highly respect your opinion, I think you ignore a great body of evidence supporting the idea that Lord Rickard's web of marriage pacts and friendships are targeted against Aerys and Targaryen rule. A case in point. You admit there would be ties between five of the seven Great Houses of Westeros - something that has never happened as far as we know in the entirety of the Targaryen period and you see this as benign. As nothing but business as usual. It is not. It is the greatest threat to Targaryen rule since the religious wars against Maegor. The major difference is that the Targaryens don't have dragons this time. Tell me, how would you go about constructing an alliance to overthrow the Targaryens? Would you build through marriage ties and alliance of Great Houses to swing the balance of power in your favor? That's what the Lannisters did in the War of the Five Kings. Might be they learned it from somewhere. I recall the marriages although we know the details of just one at this point. Hopefully we will learn more in Fire & Blood. But the difference between marriages forced upon the Great Houses by Targaryen overlords backed by dragon fire versus an alliance constructed against the Targaryens through the negotiated marriage pacts and fosterings by the Great Houses themselves is the difference of night and day. And we do have evidence that Aerys was against the betrothal of Jaime and Lysa enough to destroy it through honoring of Jaime with his elevation to the Kingsguard. We also have Yandel's statement, seemingly acceptable to Robert and the Lannisters that the pre-rebellion alliances were constructed against the advent of the "mad kings" crimes. Add this to the unique character of these alliances all occurring under one king, and adding into it the maester's conspiracy and we begin to build a body of evidence that one has to be willfully blind not to see. The marriages Alysanne offers to make for Lord Alaric's sons and Lord Manderly's children doesn't sound like matches that are forced upon those houses. And while we do know that Torrhen's sons apparently disliked the match between their sister and Lord Ronnel Arryn, it seems that Lord Torrhen Stark was fine with that - else the match wouldn't have happened. That is not evidence for Aerys being against the match. Or do we know, at this point, why and how Aerys II came to the conclusion that Jaime Lannister would make a fine addition to his Kingsguard? I don't think so. Only if we knew that this betrothal thing figured into his decision could we take this as evidence. There are no alliances there, only marriages and friendships. It becomes an alliance of three and then four great houses when they are effectively forced to fight a war, but not before. And there is no evidence that this was a 'unique character' to this situation. We do know there are other marriages between great houses, both in the days of the Conqueror and perhaps also during the reign of Jaehaerys I - and then we also have all those Lannister-Baratheon matches from the lineages book. Such matches are not unique. If houses are plotting and the plots are to be sealed by marriages, the bride and groom must get married as soon as they are 13 or 14 if the betrothal has already been arranged. And that's just a daft unsupported premise which there is no reason to believe. Most people know it is better to wait to bear children until a bit later, weddings take time to arrange, and so on. Even worse, only Cat was significantly above this age anyway, Lyanna may have been 14 at Harrenhal. So I just don't get it. As for some of the other points, Hoster and Robert weren't going to be able to secure their bannermen's loyalties with one or two marriages. Even if Hoster had promised Lysa to one of his bannermen, that's only one lord out of what appear to have been half a dozen or so who fought for the Targaryens (same for the stormlands). And there are always other considerations at play here too, like health of the potential partner, suitable matches in the relevant houses, etc. As for the examples I gave regarding lords sometimes not marrying when your logic seems to dictate they should I think they are relevant. They demonstrate that although you can make a case for why x or y ought to have married given their political ambitions people in world don't necessarily think like that, so your argument does not hold. And you also didn't say why they weren't relevant, presumably it was even more crucial for Robb to marry in the context of GoT given it was wartime and so inexplicable by your logic why he did not. No, my main objection is that there is simply not a shred of evidence that there was any anti-Targaryen intent behind any of the fosterings, betrothals, and negotiations by Rickard, Hoster, Jon, Robert, and Tywin. That this and other variations of the theory are pure speculation and assumptions with no factual basis. You and other believe there was an anti-Targaryen intent behind these things, and interpret them as though there was such an intent, but are incapable of providing any actual evidence, because as of yet there is none. If your theories were about how crazy Aerys might have interpreted these moves, or how ties originally established with different intents were useful in bringing them together against Aerys after the Targaryens kidnapped Lyanna, murdered Rickard, Brandon, and Elbert, and demanded Jon murder Ned and Robert, I'd be much more likely to agree, but there is no basis in the books for the idea that there was anti-Targaryen intent behind any or all of the fosterings, betrothals, and negotiated betrothals. That every single marriageable member of these great houses remained unwed for all those years while you believe they were plotting is detrimental to your theory. The idea that they would make the betrothals in the first place, but hold off on the weddings so as not to arouse suspicion makes no sense. Anyone who would be suspicious would be suspicious at the betrothals in the first place, and holding off on the weddings would not prevent that. The only thing holding off would prevent is the ties those matches are meant to secure. This theory just makes everyone involved incompetent, especially under the assumption that they were aware enough of the extents of Aerys's madness to plot for war with him as a result. The delay in wedding Brandon/Catelyn and Robert/Lyanna, and the absence of marriages and betrothals of all the other major players makes perfect sense in the context of a Westeros that has been at peace for decades, where the last war had the Iron Throne, the great houses, and the lords of the realm on the same side against the Ninepenny Kings, and in which the great houses have no reason to foresee conflict with the Iron Throne. In such a context, all the great lords have their children, and have time to see them wed off. But none of that makes sense in a context where the great lords are making these half-assed moves as part of a plot for war with the Iron Throne, no matter how many years off they prefer it to be. Robert and Hoster didn't need to try to secure the support of all the bannermen who had royalist leanings. But if they and the other great lords had actually been plotting for eventual war, they and their most loyal bannermen had a number of key marriageable pieces at their disposal to secure important houses with the power to stack things more in their favor. But they made no use of those pieces. 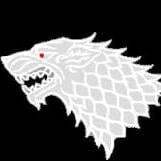 The Starks, Tullys, Arryns, and Baratheons all come off as completely unprepared for war, not as houses that have been plotting for war with the Targaryens since Brandon, Ned, and Robert were children. Everything about what led up to the war, and how the war progressed, points to the great houses having no plot or plan. You keep making assertions about my logic and my objections that only demonstrate you either don't understand my actual logic or objections, or are choosing to make up nonsense anyway. Either way, I see no point going around and around with you any further. You made your case for your theory, and I find it to not be supported by any factual basis in the books. I am sure you can live with that, just as I can live with you not accepting why I find your theory and reasoning baseless and absurd. Thanks, @YOVMO. I agree, I think people are retrofitting intentions by working backwards from the end result. It is one thing to suggest Aerys might have been paranoid about these fosterings and betrothals, and a whole other thing to suggest that there was actual anti-Targaryen intent behind them. As far as the widowed lords being useful to cement alliances if war was being plotted, I think Hoster, Jon, and Tywin stand out most glaringly in theories where these great lords had been plotting against anti-Targaryen. Rickard at least had three sons that were men grown or soon to be, in addition to himself. But Hoster had only one son and a brother with no intention of ever wedding, and Jon had only a nephew and a distantly related Arryn wed to his niece. Even at their advanced ages, the possibility of providing a second son to Hoster or a first son to Jon would have been of great value in cementing alliances if war was being plotted. And Tywin has only Jaime, his golden child, and Tyrion, who he despises. If he was so open to joining an ant-Targaryen alliance, or an anti-Targaryen alliance was so intent on bringing him in, Lysa could have been wed to Tywin himself, especially after Tywin was deprived of Jaime. None of what we know makes sense in a scenario where these great lords were plotting against the Targaryens, whether to create independent kingdoms, or to seat one of their own on the Iron Throne. And while there is no doubt quite a bit we don't know, I don't see any hint that the great lords are going to be revealed to have fostered or betrothed their children as part of a plot against Aerys or House Targaryen. You are interpreting Yandel's statement in a way it doesn't necessarily mean. He doesn't actually state that Rickard fostered Ned and betrothed Brandon and Lyanna to ensure that those houses would act together against Aerys against crimes he wouldn't commit for years to a decade. All it indicates is what we all known in hindsight, that the ties Rickard had already established had the effect of bringing these houses together against Aerys after he committed his crimes, long after the ties were made. There's nothing for Robert to object to. And even if Yandel does believe that the ties were made with an ant-Targaryen intent, and intended to imply that with his statement, which I don't agree is apparent, that doesn't mean that there was any such intent behind the moves on the part of Rickard or the others. @Ran, I am sorry to bring you into this, but was wondering if you could indicate whether Yandel's statement here is voicing a belief of his that Rickard had made these fosterings and betrothals aimed at Aerys, or if he is just describing the end result that these ties ended up having? We need to have a good reason to believe that Steffon is anything but loyal to Aerys. We have ample evidence that the relationship between Aerys and Tywin deteriorated after Aerys became king and named Tywin his Hand. We have no evidence that the relationship between Steffon and Aerys ever deteriorated, or that Steffon ever had reason to join anyone that intended to move against Aerys and House Targaryen. What we do know is that Aerys trusted him to name him to his Small Council full of lickspittles after he had ceased to trust Tywin and Rhaegar, and entrusted him with finding an heir for his heir Rhaegar. So we, and the great lords, had ever reason to think that it would be a bad idea to seek an ally against Aerys with Steffon Baratheon in 278 AC, not to mention way back in 271-272 AC when Ned was fostered with Jon. I see no hint that Cressen has a hand in Robert being fostered in the Vale. We know so little about the relationships between those three lords that pretty much anything can be suggested without evidence for or against, but without a hint, I see no reason to think that the maester were behind these fostering, or that they or the lords had any reason to believe that such fosterings would tie them against an eventual war with the Targaryens none of them could have possibly foreseen. Ned speaks of him and Robert being boys, but we don't know for certain the year each was fostered. Maybe one was sent first, maybe they were sent at the same time, who knows? But it seems both were there together for many years. And I see no reason to think Cressen had anything to do with Robert's time in the Vale after his father died. Robert (born 262 AC) was either a man grown or soon to be when his father died in 278 AC, and both he and Ned, according to GRRM, split their time at home and at the Vale after reaching manhood. "How did Ned manage to become such a paragon Northener and a close friend of Lyanna's if he spent his time in the Vale from age 8 to 18? Or did he return home at some point(when?) and was just visiting Jon Arryn prior to and after the tourney at Harrenhal? He was fostered, not exiled. Yes, certainly he returned home. Less frequently the first few years, when he would have been performing the duties of a page and then a squire, more often and for longer periods later. During his "squire" years (he wasn't a squire in the strict sense, since he wasn't training for knighthood, but he was acting as one), he would also have accompanied Jon Arryn on many travels out of the Vale. And once he reached the age of sixteen he was a man grown, free to come to go as he liked... which would have included both time at home and in the Vale, since Jon Arryn had become a second father. The same was true of Robert, who divided his time between Storm's End and the Vale after reaching manhood, not to mention dropping in on tourneys and whatever choice fights he could find." I am not at all downplaying the rift between Tywin and Aerys. On the contrary, I am pointing out that as bad as it became, Tywin still remained in the Red Keep as Hand of Aerys, brought and kept his daughter Cersei to the Red Keep in the hopes of wedding her to a Targaryen, and when he was negotiating with Hoster, invited him to King's Landing to complete the deal to betroth Lysa to his son Jaime. At no point until his resignation did Tywin operate or give the appearance of a man to be approached to join a plot against House Targaryen. He was as close to being "on the inside" as he could get without wedding the dragons, and from everything we have been told, that was still what he was trying to do up to 281 AC, at the same time he was inviting Hoster to KL to seal the betrothal between Jaime and Lysa. Not sure what your point is re: Robb. Robb is an actual blood tie between Stark and Tully, something that was never established from the Brandon and Catelyn betrothal that went nowhere. Robb actually has a high place in the Tully succession, as his mother is next in line after Hoster's only son Edmure. And as we see it play out, Lord Hoster and his heir and successor Edmure and all their lords eventually swear fealty to Robb as their king after the deaths of Robert and Ned. I respect you as well, but I cannot agree that there is any evidence for your theory here. I think everything we know indicates that there was no such alliance or plot, whether to create independent kingdoms, or to seat one of their own in place of House Targaryen. I see those betrothals and negotiations as things that can all be explained individually, without requiring some united theory or united alliance, and without requiring anti-Targaryen intentions. The existence of those fosterings and betrothals does not automatically equate to the conclusions you are jumping to. However unusual they may or may not be, an anti-Targaryen intention is not required to explain them. You see the Baratheons being tied to the Tullys and Lannisters despite only a betrothal of Baratheon and Stark, which we have good reason to believe was proposed by Lord Baratheon being in love with Lyanna. You see Lannisters being tied to the Starks, Baratheons, and Arryns despite only a negotiated betrothal of Lannister and Tully, which was negotiated openly, and was to be sealed in King's Landing right under Aerys's nose. You see the Arryns being tied to the Tullys and Lannisters despite only a foster relationship between Lord Arryn, and the young Baratheon heir and Stark second son, which started up to half a decade before Duskendale, and up to a decade before Harrenhal. Where we have ties (or ties being negotiated) between houses that have ties (or ties are being negotiated) you see a unified alliance between all of those houses, but that is a huge leap. In reality, we see that when it came to war, the Tullys had to be brought in with marriage ties months into the war, and the Lannisters could not be brought in all war, until Tywin saw the war was lost with the death of Rhaegar, and sacked the city on behalf of the rebels. Interestingly, Jaime indicates to us that Aerys did not actually see Robert as the greatest threat to House Targaryen in a century until after the Battle of the Bells, and tells us that even leading up to the Battle of the Trident, Rhaegar stated that Aerys feared Tywin even more than Robert. I agree with the gist of this. I think there is a tendency, without basis, to assume that the existence of the betrothals and proposed betrothals is in and of itself an indication of some hostile motive against House Targaryen, perhaps because by the end of the war all of these houses had joined in on the rebellion against Aerys. But I see no evidence for such a motive, and I don't think that is the most likely assumption just because there is currently a blank for the explicit backgrounds and intentions behind the fosterings and betrothals. I am not sure I think it all that likely that Aerys and the queen actually had a part in the fosterings or betrothals, and I don't think it unlikely that Aerys eventually came to see plots against him in these ties and proposed ties, but I don't think there's evidence that they had such an intent, and I doubt Aerys saw such an intent when they were made (save, perhaps, for the Lysa/Jaime negotiations). That Tywin was so blatant about completing the negotiations for that betrothal in King's Landing indicates to me that he might have thought Aerys might take it the wrong way, and went out of his way to it right where Aerys, his spies, and his lickspittles were, so they could try and fail to find any malicious intent in it. Oh, it was just an example. I agree that it is not very likely that Aerys or Rhaella helped with Cat/Brandon - but it is a possibility considering in light of the fact that especially queens liked to arrange marriages. And it is very telling that apparently nobody saw marriages between great houses as a threat to the ruling dynasty. One could consider the possibility that the royal family was involved with Jon Arryn's fostering thing. Rickard should have had connections into the Vale thanks to Jocelyn's daughters there, but how it came to be that Steffon Baratheon sent his son and heir as ward to the Eyrie is actually a potentially interesting story, considering that lords usually do not foster their heirs elsewhere. Could very well be Steffon/Robert met Jon at Aerys' court in the 260s, either during some festivity, of perhaps even because Jon Arryn served on the Small Council for a time. The idea to project all that stuff back to the Stepstones thing isn't that good an explanation for me, especially not for the decision to sent the heir of Storm's End to the Vale. One assumes that Robert himself played a considerable role there, perhaps by bonding with some other wards of Jon's (or Elbert Arryn) during some visit scenario. Steffon wouldn't have just woken some day, deciding to send his eldest son and heir to the Vale. And with Stannis being a mere year younger than Robert it is rather odd that the heir was sent away when the foster thing was decided. Could also be that they originally wanted to send Stannis away, but the sullen boy was too strongly attached to mama and his falcon and his home, etc. and thus Robert had to go. In the end it is just that Rickard Stark apparently had accidentally helped to establish friendships and connections that came in very handy when the Mad King threatened/killed crucial people. And this is what prevented Aerys, Rhaegar, and their people from seeing the true danger there and what allowed the Rebellion to be as successful as it was. Aerys and his people saw Rhaegar as a potential Daemon Blackfyre, not Robert Baratheon. They only realized how dangerous Robert could become when it was too late. There are a lot of connections and possible connections that could have something or nothing at all to do with paving the way for Rickard and Steffon fostering their sons with Jon Arryn. Prince Aegon (V) wed Betha Blackwood in 220 AC, and (Lord) Willam Stark wed Melantha Blackwood, and she gave birth to (Lord) Edwyle and Jocelyn (who went on to wed a Royce) in the years prior to his death in 226 AC. It is unclear how closely related Betha and Melantha were, but it seems Aegon will have already met some Starks prior to those weddings, and who knows what, if any, relationships developed between Aegon and whatever Starks, whether earlier, or later. Regardless, Prince Duncan, Prince Jaehaerys (II), Princess Shaera, Prince Daeron, Princess Rhaelle, as well as (Lord) Edwyle and Jocelyn Stark, will all have been born to those Blackwood ladies in the 220s-early 230s. And in the late 230s-240s, Aerys (II) and Rhaella, (Lord) Steffon, and (Lord) Rickard will have been born to their descendants Jaehaerys (II) and Shaera, Rhaelle (w. Lord Ormund Baratheon), and Lord Edwyle. Whether any friendships other than the one (Aerys-Steffon) we know of came as a result of these ancestors, or whether the fosterings came through some other happening, the possibilities are there pretty early. Alys Arryn will have wed Prince Rhaegel around the late 190s or early 200s, and their last child Daenora will have been born between 211 AC, when Rhaegel is stated to have only had two children, and his death in 215 AC. This would make Daenora pretty close in age, maybe a bit older, than Jon Arryn, with Jasper Arryn maybe being closer in age to Rhaegel and Alys's eldest children Aelora and Aelor. The Arryns remained stout Targaryen loyalists against the Blackfyre Pretenders. Lord Donnel Arryn led the vanguard of the Targaryen host in the First Blackfyre Rebellion in 196 AC, and was still alive to shut the Vale by land and sea during the Great Spring Sickness in 209-210 AC. It is unclear how closely related Jon's father Jasper Arryn and Daenora's mother Alys Arryn were, or how closely related either or both were to Lord Donnel Arryn, but there is potential for Jon, his father, and his father's father to have grown up with or developed close ties with members of House Targaryen pretty early. Jon was also old enough to have himself possibly been involved in the Fourth Blackfyre Rebellion in 236 AC, well before the Ninepenny Kings in 260 AC, as his predecessor Lord Donnel Arryn had been in the First in 196 AC. For all we know, Jon had made connections with Lyonel or Ormund Baratheon before Steffon was even born, and/or with Edwyle before Rickard was even born, or while they were still young children. But even if Jon and Steffon hadn't already met or become acquainted or established some sort of relationship, Jon and Steffon/Robert could have met as recently as the 10th Anniversary Tourney in King's Landing for Aerys in 272 AC, which would be right around the time Ned had been or was about to be sent to the Vale to foster with Jon Arryn. There are a lot of possibilities for Jon, Steffon, and Rickard to have met and or becoming acquainted naturally at some points throughout the decades, without resorting to some anti-Targaryen conspiracy. I'm all for assuming that Jon Arryn and Alys Arryn (hopefully his (grand-)aunt) played a pretty big role in the history of Westeros, but I'd be more cautious about drawing straight lines through the reign of Aegon V. The Arryns would have been rather close to the Iron Throne from the 210s up until the 233 AC, but how Aegon V's sons and his reform plans affected the entire Realm is, for the most part, still a huge question mark. I'd find it interesting if Jasper and Jon Arryn turned out to be the main opposition to those reform ideas, and it would also be very interesting if the Starks and the Blackwoods (including Betha's father/brother) were also not keen on this peasant nonsense. Those men are all aristocrats, and such people don't like if the rabble is suddenly more important than they are. Tytos and Walder were allies, too, in a sense ... Tywin and Walder not so much, not despite Genna-Emmon but because of them. Politics are fickle, and we already know Egg had trouble with the Baratheons, Tyrells, Redwynes, and Tullys. Gerold was his friend, but Tytos was politically a non-entity. If Egg had the Arryns and the Starks his reforms should have made considerable progress, and it would make more sense if the 'anti-reformists' were actually different lords than the 'the king's children broke the marriage contracts' lords. One also assumes Lyonel/Ormund restored the traditional friendship between the dragon and the stag in the wake of the trial-by-combat and the Ormund-Rhaelle match. The down-to-earth Baratheons are among the few great houses I could see be in favor of Egg's reforms. In the end the fostering thing should be something that developed between Steffon, Jon, and Rickard on their own terms - although it is certainly not impossible young Steffon first met Lord Jon at the court of Aegon V. After all, it seems Tywin was fostered with Aegon V for a time, too. A rather - spent some time at court, serving as page and squire after his relationship with Tytos had really soured. There are too many gaps in knowledge to state when or how Jon, Rickard, and Steffon became acquainted, or the nature of their relationships. It's not my intent to settle on one possibility, but to demonstrate that these men and their families had plenty of possible opportunities over the last century to meet, become acquainted, become friend or allies on some matters. Jon Arryn in particular stretches back a long time. Though he became like a father to Ned and Robert in the early 270s AC, he was old enough to father Rickard and Steffon in the 240s, and old enough to have hypothetically met and become acquainted with Edwyle, Jocelyn, Ormund, Rhaelle, and Lyonel between the 220s-240s. When Jon is investigating the paternity of Cersei's children, looking up Baratheons in the old book of lineages, that Gowen Baratheon who wed a Tya Lannister ninety years before 298 AC early might hypothetically be someone who lived long enough for him to personally lay eyes on as a young boy. Jon was old enough to have attended the coronations of Aegon V (233 AC), Jaehaerys II (259 AC), and Aerys II (262 AC). He was old enough to have attended the Tourney at Blackhaven (246-247 AC ? ), the Winter Tourney at King's Landing (252-253 AC ? ), the tourneys Ser Denys won before taking the black, and the 10th Anniversary Tourney of Aerys II at King's Landing (272 AC), and the various tournaments undated and unknown between them. He was potentially old enough to have squired or fought as a knight in wars for Maekar I (Peake Uprising in 233 AC), Aegon V (Fourth Blackfyre Rebellion in 236 AC and The Rat, the Hawk, and the Pig in 251 AC), and Jaehaerys II (War of the Ninepenny Kings in 260 AC), and against Aerys II (Robert's Rebellion in 282-283 AC). Those are all things he might have been old enough to do as a man grown, or nearly a man grown, let alone the things he might have witnessed as a child or young boy. Not to say he certainly attended all those coronations or tourneys, or certainly fought in all those wars, just that he could have met or become acquainted with Rickard, Steffon, or earlier family member of theirs at any point over a span of decades though events such as these, even if the plans for Jon to foster Ned and Robert didn't come about until the early 270s. Very true. Also anti-targaryen sentiment is not necessarily a desire to overthrow the established order. A couple of marriages here and there between great houses doesn't have to be a "southron ambition" on the part of Rickard Stark and Jon Arryn and Hoster Tully. It could simply be a defensive posture. Looking at the make up, even f Arys rules for the rest of his life and dies a natural death how much longer does he have? He is 40 years old and not in great health. Even if he lived to 80, which judging by his appearance, is unlikely we are talking about 40 years. What is 40 years in the eyes of houses that are thousands of years old? By pulling together Storms End, Winterfell, Riverrun and The Eyrie in a marriage bound alliance you make a situation where even someone as demented as Aeyrs realizes that open hostility is a poor idea and a few decades later when his son succeeds him there is a powerful block f houses which he must contend with as a reality. Agreed 100%. As I said earlier, an alliance which offset the power of the throne by linking great houses so that the throne had to think twice about its policies from the day to day norm of taxes to the caprices of the mad king is possible but any kind of regime overthrow or destruction of the unity of the 7K seems highly unlikely.